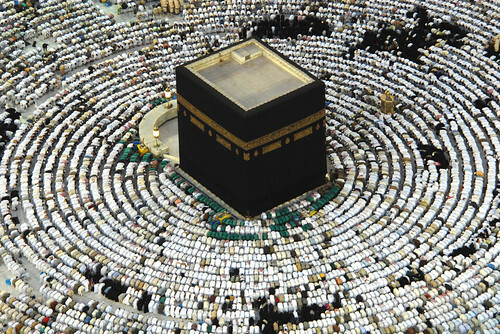 In previous posts, I wrote about the first four pillars of Islam: shahadah (the proclamation of faith), salah (prayer), saum Ramadan (fasting during the month of Ramadan), and zakat (almsgiving). 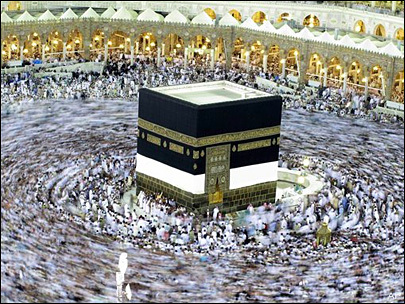 Hajj, the fifth and final pillar of Islam, is the pilgrimage to Mecca. 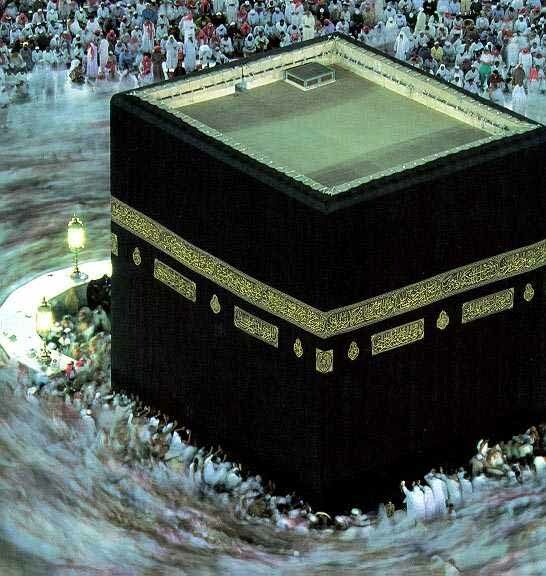 Every able-bodied Muslim who is financially ready is required to perform the pilgrimage. Today, at the Plain of Arafat and Mount Arafat in Saudi Arabia, two to three million pilgrims congregated to perform the most important rite of the hajj, or the pilgrimage. This site is significant because it is on the Mount of Mercy that the Prophet Muhammad gave his final sermon. 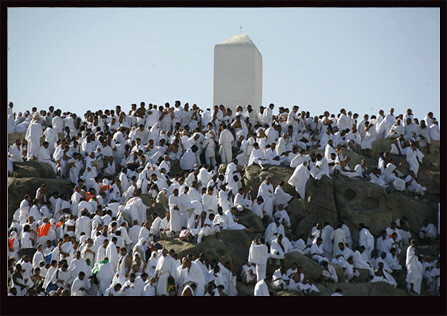 Many pilgrims climb the hill and try to touch the pillar that marks this place.